Most motorists who have been involved in an automobile accident can attest to the fact that dealing with the aftermath can be a nightmare. 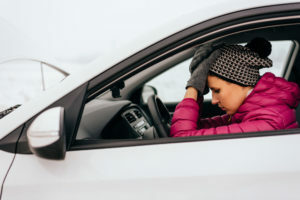 As part of an effort to help clarify what would happen next and ease some of the stress associated with these types of events, The Insurance Center would like to share the steps motorists should take immediately after an accident. Statistics suggest that most motorists are involved in an automobile accident by the time they are 34. With the near certainty that you will be involved in an accident at some point in your life, The Insurance Center encourages you to prepare for the unexpected by reviewing the steps we have outlined below. Any motorist involved in an automobile accident should pull over to the side of the road or they could risk legal repercussions against them. Use caution when pulling over, and remember to turn on your emergency lights to help prevent other accidents from occurring. Police officers should be called to the scene to write up a police report, which will eventually be reviewed by insurance providers to help determine who is at fault. Police officers do not take note of who is at-fault, but only write an objective report of what happened based on the statements of the drivers. Motorists should always carry a copy of their insurance policy in the car, their driver’s license, and a copy of their vehicle’s registration. Drivers should also be able to provide a clear, concise explanation for what transpired because what you say will remain on record. To help make the insurance claim move a little faster, drivers should take plenty of photographs from the crash. This will help protect drivers from fraudulent claims, and will make it easier to have damage approved for repairs. Motorists might be able to get their vehicle fixed faster if they have the other driver’s insurance information, name, and license plate number. Legal experts warn that motorists involved in the accident should avoid talking to each other too much to avoid the risk of accepting blame. Motorists should inform their insurance provider of the accident after the steps mentioned above at their earliest convenience. An insurance representative will collect more information, and should be able to address any concerns the policyholder might have. The Insurance Center understands that being involved in an accident can be stressful, and emotionally draining. Our team of experienced insurance agents can help connect you with your individual insurance provider if necessary, and can assist you if you have any questions during the claims process. With a history that stretches back to the 1900s, our agency offers a full portfolio of auto, home, and business insurance products that have your financial interests in mind. If you any insurance-related questions, we encourage you to call 603.542.2551 to see how we can help you. "As a growing community bank, we felt the need to have a full-service insurance agency that could handle all of our insurance and bonding. We also wanted an independent agency that has a long-standing history of service to their community. The Insurance Center has exceeded our expectations. Whether you are a small business or homeowner looking for the right levels of protection, I highly recommend the Insurance Center."